Note: The project comes with a separate .txt inside for the new locations of many RAM values used in this project since most of the original Game Genie codes used will no longer work due to vast amounts of location changes. Use this file for various cheating needs. 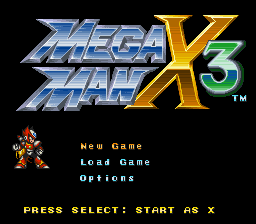 A large modification of Mega Man X3 that allows Zero to be fully playable. Among this, there are vast improvements over some aspects of the original game along with a plethora of new features such as a Save/Load system. Also, the game has been modified to be ‘FastROM’ as well so some slow down has been reduced, but it’s still prevalent throughout the game. 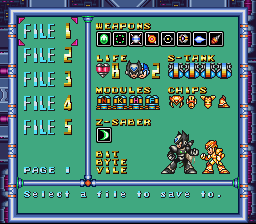 This version is considered separate from the original Zero Project since this one has such an entirely rewritten system from the ground up and separate features that people may or may not like compared to the prior version. This is so all grounds are covered for mistakes on patching minus the wrong ROM. It’s rare that I’ve felt the need to comment on hacks. I’ve only felt compelled in recent times to either a) apply small quality of life hacks to already good games (SMAS, Super Metroid, ALTTP) or b) take on the few true diamonds of amazing hacks that provide a brand new game to romp through. It’s been immensely pleasing to see many users coming to the aid of the X series to polish some of the roughest but most promising games in the series, namely this, X5, and X6. And I’m even more pleased to say that, while many of X3’s other overarching issues don’t get tackled here, this project truly brings out some of the best in X3. 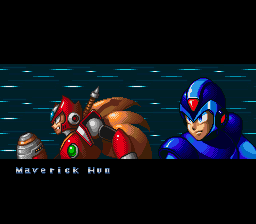 The creator took a lot of time and care not only making Zero fully playable but providing clear distinctions between him and X. Don’t mistake this as just a Zero hack! 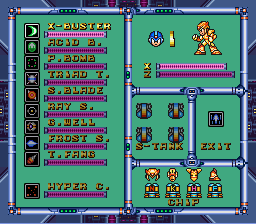 The changes to X’s armor functions, especially his double buster shot, do wonders to smooth out the flow of the game. The implementation of X2’s combo system, while a bit overpowered, makes combo shots with both X and Zero super satisfying to use. The change to ride armors where they’re immediately usable upon obtaining one dramatically cleans up the vanilla game’s awkward and annoying item collection structure. It’s all enough to make for a far more enjoyable game. Many of X3’s understandably trickier issues like enemy variety, terrible damage scaling early to mid game, and lackluster level design aren’t addressed but as something meant to be a base for future hacks, it’s never something I expected of it. The most important thing it accomplishes is making X3 a fantastic game to play. It’s one of the most well-rounded hacks out there and one of the best qualifiers for the Improvement category on here if you ask me.